Whether you’re a homeschooler, teacher or parent, we all know that reading is the foundation, the cornerstone of learning. Without being able to read, students simply will not succeed. Not being able to read will hinder their ability to fully grasp, understand and continue their learning as they grow. That is probably the reason so many homeschooling parents stress about these early years and want to get a jump on their child’s schooling. 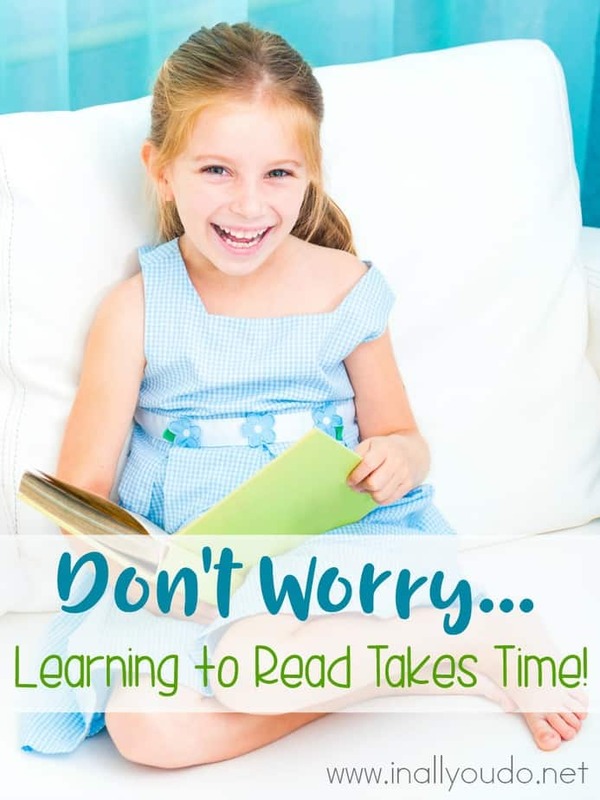 While I personally don’t believe in pushing reading on a child at a young age, I do know and understand the pressure of a child being considered “behind” and not reading when others think they should. 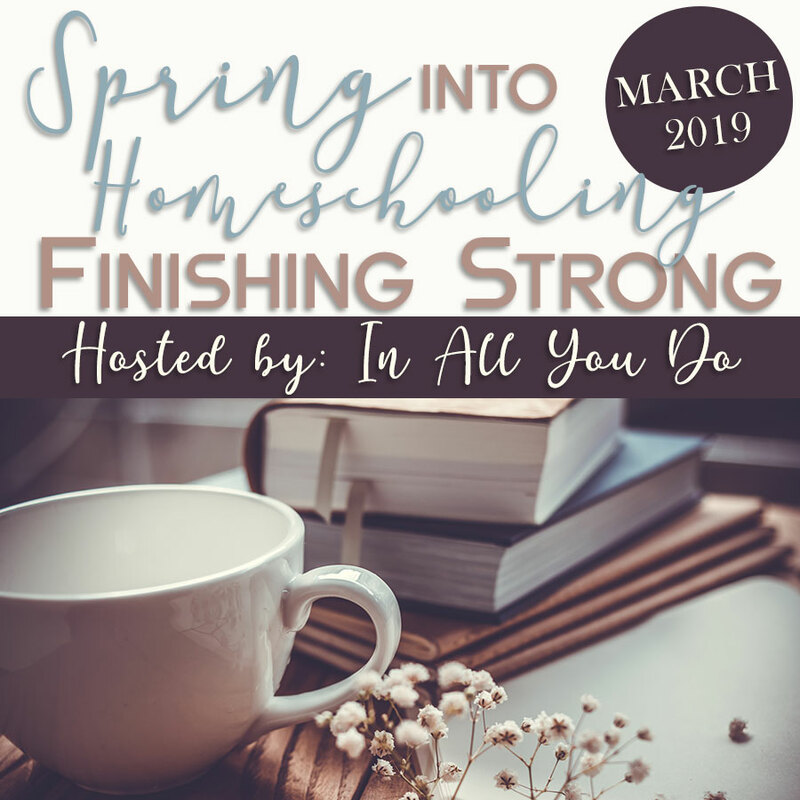 UPDATED: Don’t forget to read to the bottom to enter our giveaway (ends 3.23.18) and grab your limited time freebie! I’ve mentioned before that our oldest began reading very quickly (and easily) in the first few months of kindergarten. At that point, I thought homeschooling was going to be a breeze and all our children would simply follow suit. Even though we didn’t push letters or phonics, we read many books aloud, watched learning videos/shows that continually taught them letters and sounds. However, I quickly found out that wasn’t enough. When our youngest homeschooler (age 6 now), had just turned 5 I pushed her to start kindergarten, but she simply wasn’t ready. We waited a few months, tried again and still found she just wasn’t quite there. I allowed her to sit near us as I worked with our middle two and eventually she was ready to sit, learn and grasp the concepts we were teaching. Last Fall I was introduced to a new-to-me curriculum called The Good & the Beautiful. I was so excited to start using it with our children and see if this was the right fit for them. And in fact, it has been!! I am so pleased with how well our youngest homeschooler has picked up with these lessons. Note: I received this product in exchange for an honest review. All opinions are my own. I was paid as compensation, but not paid for a positive review. When we started she didn’t even know all her letters. She couldn’t recognize them at all – not even all the ones in her name. 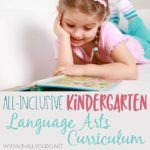 The pre-requisite to begin the kindergarten curriculum is that they have to be able to recognize all their letters – both upper and lowercase. My husband worked tirelessly with her over a month’s time to drill them in to her head. They made up funny songs, rhymes, motions and more to help it stick. Finally after a full 4 weeks of working on them, she mastered them all! It was a glorious day! We even had a small party to celebrate! After that, we started working through the lessons. It has been a slow process with her, as she is extremely artistic minded and loves to move, dance and sing – not sit at a table doing lessons. However, we have made headway and I am so pleased with her progress. 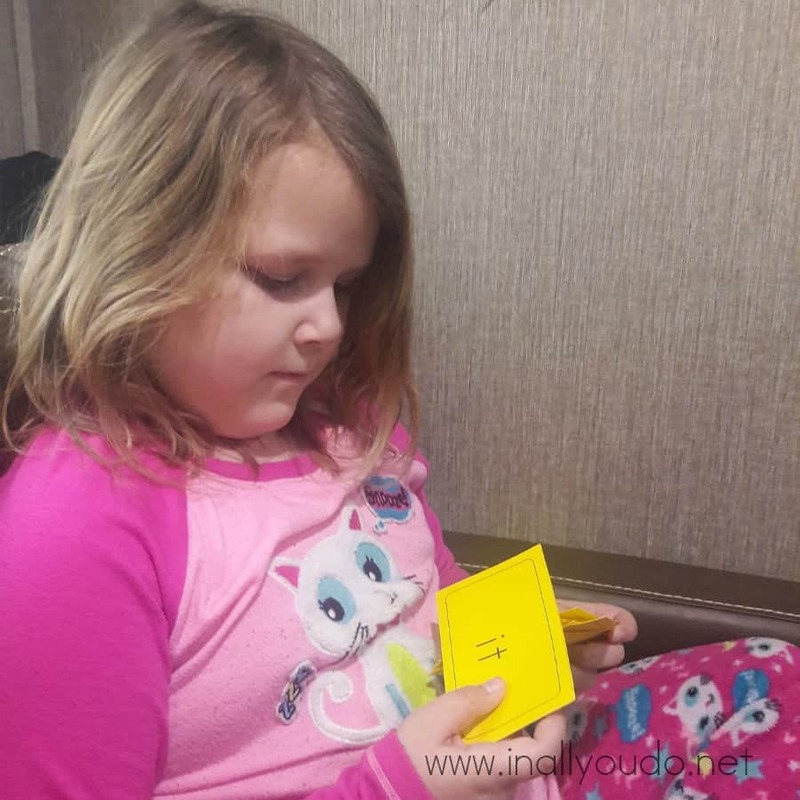 She is starting to recognize the sight words and blends we have been working through on signs as we drive down the road. She is remembering non-sight words we have read in the stories and poems. She is eager to do her lessons each day and works hard to improve and move forward. She is loving the curriculum and so am I! Reading is the foundation on which learning is built and without it, we work at a terrible disadvantage. In years past I have worried what others thought about my children not reading at the age of 3, or even 6. But, as I will share later this month, I no longer worry about it. I know it will happen when they are ready. However, that doesn’t mean we give up. We keep fighting for our children and with them to help them improve daily. Although our daughter will not finish the Kindergarten curriculum in our 180 days this year, we plan to continue her lessons through the summer to help her continue improving and not lose the progress she has already made. As I have seen in my older children, progress will happen, she will improve and she will read. So, why do we keep using it? I love that the lessons are easily laid out for you. If you need to repeat a lesson, go ahead. This is what homeschooling is all about! No one is telling you how fast (or slow) you need to go. The most important part is that they completely grasp the concept. The Language Arts curriculum includes reading, writing, literature, spelling, grammar & punctuation, vocabulary, geography, and art all in one course! I also love that the program is phonics based, which in turn creates strong readers and excellent writers! As I mentioned before, there is literally no daily prep time. You just open the book and follow the instructions, learning and exploring along with your child! In a busy home with 5 kids (soon-to-be 6), this is essential! Whether you’re looking for a new Language Arts Curriculum, a different approach or something else, I highly encourage you to check out The Good & the Beautiful! It has changed our homeschooling for the better! Are you concerned about disrespect, inappropriate language and material, and low educational and literary value in the books your children are reading? 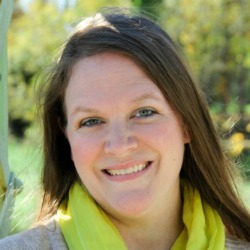 Jenny Phillips and her team have spent thousands of hours scouring and reviewing all genres of literature to bring you Jenny’s top-recommended books for children and teens. Jenny has found these books to be free from unclean language, taking God’s name in vain, and disrespectful or inappropriate behavior made to look funny or acceptable. Click here to claim your freebie! Not only does The Good & the Beautiful have Language Arts Curriculum, they also offer a full range of Science curriculum as well! Their science, health, and safety unit study packets are faith-based and designed for Grades K-6. There are 9 different topics in all – Arthopods, Intro to Energy, Energy, Kingdoms & Classification, Meteorology, Safety, Space Science, The Human Body and Water. New units are added throughout the year. 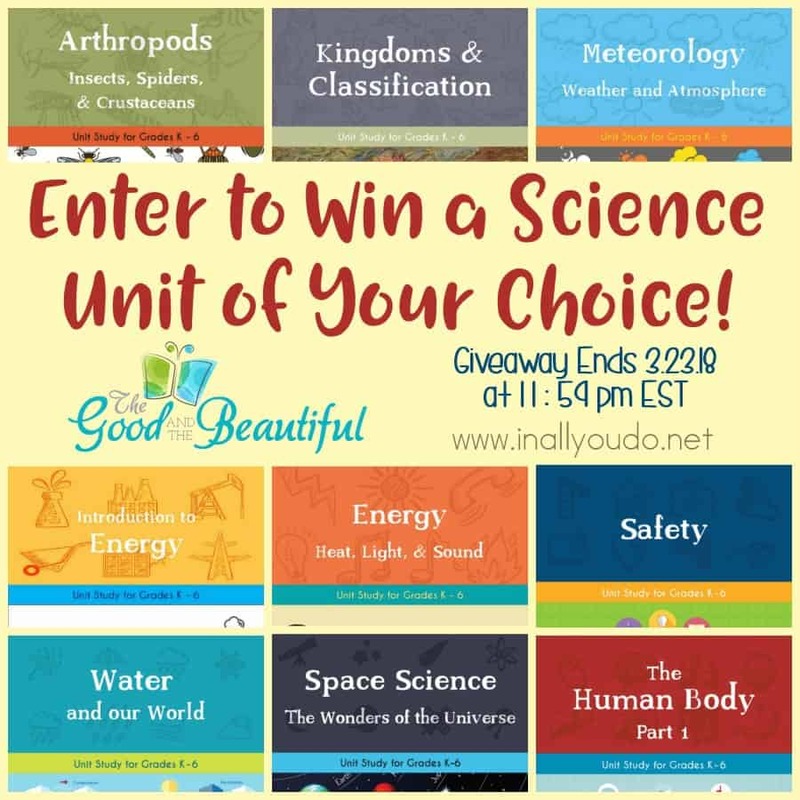 Jenny Phillips, the creator of The Good & the Beautiful, is graciously giving away a Science Unit of your choice ($18.99-$27.99 value) to ONE lucky reader!! Simply enter below for your chance to win! This giveaway ends March 23, 2018 at 11:59pm EST. Winner will be notified no later than 5pm (EST) on March 26th and will have 3 business days to claim their prize. If the original winner does not respond, a new winner will be chosen. We love the history curriculum and can’t wait to explore more of The Good and The Beautiful. I am so excited to learn that The Good and Beautiful offer more than Language Arts for curriculum. I am hoping to order the Safety Unit in Science for my 6 yr old. We are finishing our first science unit from The Good & The Beautiful. I have never enjoyed teaching science so much! My daughter begs to do it every day. I can’t wait to do more units! I’m most excited about the science units! The human body one looks amazing! Most excited about the human body unit. Heard such great things about this curriculum. We have not been introduced to The Good & The Beautiful yet, although a friend recommended it! We enjoy all things science and my kids voted to learn more about Energy: Light, Heat & Sound! I love the various science topics offered. The pictures included in the lessons are great and the lessons seem easy to use. I’d most like to do the water unit with my children. We’ve never used the Good and the Beautiful, but the breakdown of science into unit topics appeals to me. After looking at the samples I think this would be a perfect fit for our family! I love the format! I am absolutely stunned! I came to your blog looking for something else but meandered from my goal. We are preparing to homeschool and I have never heard of “The Good and the Beautiful” curriculum. It truly is beautiful…and the science books look amazing! I am super interested in starting my lo on that math. I currently do the language arts curriculum with my 7 and 5 year old daughters. They both love doing their lessons and I love that they are being taught things from a Christian perspective and that God is mentioned so often throughout. I would love to use the science curriculum as well!! I would love to win either Kingdoms and Classifications or Arthropods!! I love how the curriculum is open and go! We plan to use The Good and The Beautiful next year for our LA. Having a unit study would be a fun little addition to the Apologia science we will use. This curriculum looks amazing! We would love to try out the science one. Thank you for the giveaway! My son is interested in space, and the sample pages for the astronomy are so beautiful, the content so interesting, that I’m really looking forward to that unit! I, also was introduced to this curriculum late last summer and immediately feel in love! There prices are great but free would be a nice treat. Thank you for this opportunity. This science curriculum looks amazing! I showed it to my 8 year old who is quite excited about doing several of these. I love the simple ease and beauty of this curriculum. I am picky about the graphics I see and I love how they present their material. It really is good and beautiful! I love the topics and love how beautifully the images an information are laid out!! I like that these are divided into units that I can pull out to go along with other unit studies we are doing. The water and meterology units look awesome! I am so excited to try this curriculum! We are going to try ending our year with meteorology. Everything looks well put together and so beautiful! I’m hoping to use the Meteorology program so my daughter (and I) can u sweat and what Daddy talks about! We are doing the Human Body unit right now, and my daughter loves it! Their science units are very hands on and we love all of the colorful pictures. I am most excited about the sections on information that I am not as strong in (like rocks, minerals, etc). My daughter loves the human body, so that unit study would be our pick! I keep hearing good things about this curriculum. I’m on the website now learning more about it and I love that it is no prep. Thank you so much for the giveaway! I plan to do Kingdoms and Classification with my kids next year. I love that they are being taught things from a Christian perspective and that God is mentioned so often throughout. I would love to use more science units from the Good and the Beautiful. Love The Good & The Beautiful! Me too! Lovely for sure. I am most excited about the space science unit study because my kids are in to the solar system lately. They sing songs about the planet and whenever a planet is mentioned, they would go over to their solar system and point out the planet. I’m trying to get the free book list by clicking the link mentioned above, but the price remains at the original value. Is anyone else having the same issue? I see what you mean! I just emailed the sponsor to get clarification and will let you know as soon as I hear back! 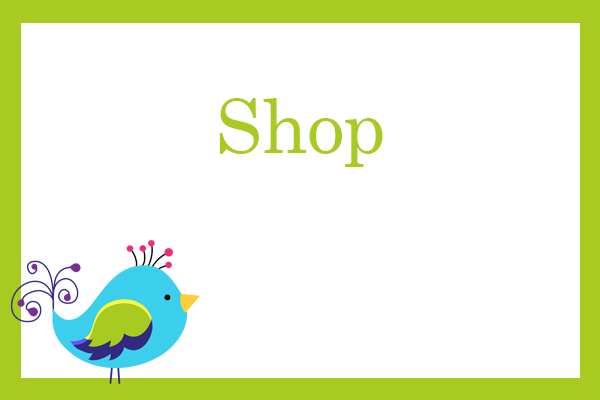 The issue has been resolved and you should be able to claim the FREE Book List now. Please let me know if you continue to have issues! I am excited about the way everything is laid out. It really is a beautifully designed curriculum. I just discovered The Good & The Beautiful curriculum and have fallen in love with it. I wish I had known about it this year but we are determined to just finish up the program we are currently using and then we will switch after our summer break. I am so excited for my kids to start using Science (and my kids are excited to be learning it, too). Love to check out this curriculum for my science loving guy. We love TGATB language arts! Excited to try out the science! Love The Good and the Beautiful. Getting the Language arts for my daughter here next month. Would love to have this too. My son loves science! And I am teaching a unit on the human body to a group of boys right now ~ this would be wonderful! Thanks! Tried to get the FREE booklist from the Good and the Beautiful….is there a special password for your readers? I was not given a password, but I have emailed the sponsor to find out more. I will update here and in the post (and with an email), when I hear back from them. Sorry for the trouble and delay! The issue has been resolved and you can now claim the FREE Book List! Please let me know if you continue to have issues! I am thrilled that they are expanding the curriculum to middle school/high school! Wonderful curriculum! I have heard so many good things about this curriculum! I hope to start the science and Lanaguage Arts curriculum with my daughters this summer when we start our next school year! I have been looking at the language arts curriculum for the fall and really like it. Though all the science ones look great, I think I am most interested in the safety one. We love the Good and Beautiful language arts and history, but we haven’t tried their science curriculum yet. The human body unit looks very interesting. This curriculum sounds so exciting! I would love to use it with my kids! Just discovered the Good and the beautiful about a month ago, have already decided it will be the Language art we are going to use next year. I have been on the fence about what science curriculum to give a try, one of the Good and beautiful ones are definitely in the running! I think the body one would be fun! I would love to teach my kiddos science together! I think I’d like to start with safety and then delve into human body and others. I love her checkbox style so you can stop where you need to for a day and pick it back up easily later. I just started the language arts level 3 with my son about a month ago and I think we finally found something that clicks for my struggling 4th grader! We are both learning so much together and relearning (reinforcing) things we’ve tried to learn in a previous curriculum. I already love the language arts curriculum and am already planning to use he history curriculum next year. Everything is put together so well and I would love to be able to try their science! The meterology unit looks interesting! excited about all of it! probably most excited about the human body one, but I like the idea of the lessons already there for you to use! I just LOVE all the topics! You have such a wide variety of subjects. My children would love most all of them. Thank you so much for the chance to win! I would love to win this as my birthday is tomorrow!! God Bless you in all you do!! I am sure my son would love the Meteorology curriculum. I am currently using Kingdoms and Classification and I love the variety of learning activities . I love the good and the beautiful curriculum. Looking forward to adding their science to our homeschool schedule! I love that it can be used with multiple age groups together. I’m most excited about all the different topics they offer and that it can be used for so long! Our family LOVES The Good & The Beautiful curriculum!!! 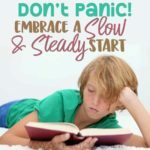 It’s so easy with little to no prep work and it’s packed with excellent information, pictures, activities, and more! I’m so excited about the science curriculums because of the ease, info, and activities that I know my family will soak up!!! I think the meteorology looks like the one I may go for… it is the one I feel the least comfortable teaching! I’m excited about the life science units. I can’t wait to see what you come out with in 2020 for high school students. Can’t wait to get the good and the beautiful curriculum! From what I see, we will love it! Great to see affordable curriculum options becoming available. We recently ordered the LA set. Can’t wait to start the other subjects! We love everything in The Good and the Beautiful! We’re currently working through Space Science & would love to start Meteorology next. My kids are thriving using this curriculum! Thank you! 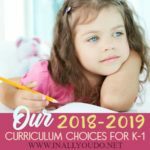 We love this curriculum! This curriculum truly looks beautiful! I hope to get to see some in person! I have been enjoying that L.A. Would love to try out a science unit as well! For my kids’ ages I am most excited about The Human Body and Water and Our World! I have five kiddos ages 6 and under! They would love these science kits! I was just recently introduced to The Good and The Beautiful and am looking forward to using their products next school year! The science units look great! I love that I can do them with the family. My oldest definitely wants the one on meteorology! Super excited about the energy, meteorology, and safety units! I like that it’s faith based and the meterology looks really cool. We have just switched to using the Good and the Beautiful for language arts and I’m dying to purchase the science and history lessons! I’m excited to learn more about this science curriculum! The Human Body would be right on target for my kids now. I have loved everything we have tried from The Good and The Beautiful. So far we have their reading program in multiple ages and their writing program in multiple ages. We’re just starting the LA, and my daughter is so excited to get started with Typing also! But she’s really been asking about learning Meterology! I like how everything is included (LA, Geog, etc.) so we are learning more without taking more time. I like doing more with less. We will be using their language arts curriculum next year, but I’m excited to see they have other subjects as well. The Human Body Unit looks like it would be great! I am so excited to have found The Good and the Beautiful! The book list is a huge blessing and we look forward to using the LA next year. The science looks amazing as well! Saw this curriculum this year and have been waiting to get my hands on it. It looks great!!! My daughter wants to be a nurse, so I think the Human Body curriculum looks like something she would enjoy! The Good and the Beautiful is amazing! Our 3 kids are excited to learn from the Water science unit. My husband works for a local water utility and the Water unit will help materialize some of what he tells us about! I have been using the Language Arts curriculum for Kindergartener and we really like it. I am really looking forward to their math curriculum. I’m loving the language arts too. Looking to do the Safety unit with my kids. My kids really want to use the Space Science! I heard so many good things about this curriculum! The science units look like they would work well for all age levels to learn together which will be a huge help to a lot of us but I am definitely interested also in the math curriculum coming out in may! Love Good and the Beautiful! Can’t wait to try more of there stuff! I am most excited about the new science unit that is coming out in May and love all the subjects of the Good and the Beautiful curriculum. It is clear and easy to understand and my child enjoys learning! We love TGTB. I have not done their science yet but plan to this fall or soon anyway. We are currently going through our first science curriculum and we LOVE IT! The Language Arts and Handwriting stuff is just phenomenal as well. Can’t wait for the math curriculum to be released!! It would be hard to choose, they all look great! Probably either energy or chemistry. Or mammals when it comes out. We already use and love The Language arts .would love to win the one on the human body. I’m my 15th year of homeschooling and I have finally found a language program that we love!! I’m hoping to add science next school year. Thank you for your encouragement and insight on reading. I have been worried about my daughter in kindergarten. Don’t be worried! My daughter is finally starting to read on her own, sound out words with confidence and even working hard to get her first chapter book! It will happen, in their own time!! If you want more encouragement, check out my post Monday about our #2 who also got a slow start! We have really enjoyed the Language Arts Curriculum. I’m excited to learn more about the science units. The water unit or the human body unit are most interesting to me right now. We just started using the LA from TGTB and I would love to try the science! The science of : chemistry as well as energy: heat, light, and sound looks awesome! The space one looks like a lot of fun. We live in the country so we see a ton of stars. We talk about space now, and having something concrete to work with would enhance my children’s love of it. It would be great to get to know the constellations better. We would love to use the space or meteorology units. My daughter loves to look at the stars at night and I would love to help her get over her fear of thunderstorms by learning more about them. So either unit would be great.